Six Clips for Moonrise Kingdom. Bruce Willis, Edward Norton, Bill Murray and Frances McDormand star in the new comedy directed by Wes Anderson (The Royal Tenenbaums, Fantastic Mr. Fox, Rushmore). 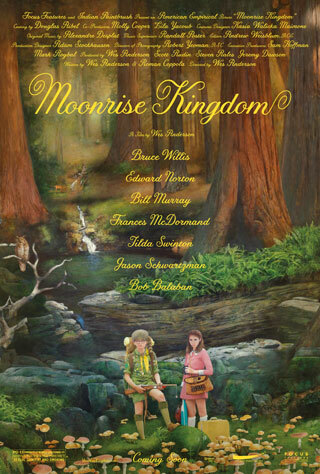 Watch the movie trailer and clips for Moonrise Kingdom below. The story of two twelve-year-olds who fall in love, make a secret pact, and run away together into the wilderness. As various authorities try to hunt them down, a violent storm is brewing off-shore — and the peaceful island community is turned upside down in more ways than anyone can handle. MPAA Rating: (PG-13) for sexual content and smoking.